Linda, Kelly, Garry and their team of professional car entusiat did tint a good dozen of our truck’s and car over the last decades. 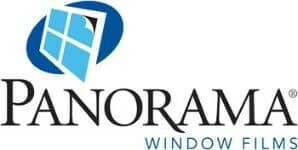 They also did residential and commercial windows for us, and we saved a ton of $$$ in a/c bills. Awesome, professional individuals who care!!! My family had multiple cars get tinted from here and they did a great job each time. The owners are nice and care for each one of their customers. They do a great job and go above to make sure you get what you want. Amazing quality work for a good price. Would recommend highly. I am amazed at the quality of work done by this shop. I have gotten my four cars tinted here. I would never entertain the idea of going elsewhere. The owner, Gary, is a great man. He will always make sure the job is done right. The employees at the shop are also very attentive and personable. Over all great workmanship shown. 10/10 would recommend to anyone. I have used this place for many cars and have always had a good experience. These guys know what they’re doing! Gary and his team has tinted all of my vehicles windows, my business vehicles, personal home and businesses for over the last 20 years! The entire team is personable and professional. I recommend A Quality Window Tinting Highly without any reservations ! I’ve used the services of Custom Window Tinting on two occasions. My car dealership recommended them. I was so very pleased with the staff and the workmanship that I had to do a review. The wait time was minimal. You won’t be disappointed! Amazing job and the staff is fun. The owner Gary is very kind and cares about quality work. Their quality of work lasts for years and it looks like it is factory tinted. They are great at suggesting tints base on your needs and don’t try to over sell you. Most of the tint offers a lifetime warranty. I’ve been a customer of Quality window tinting since the 1990’s. They have tinted all of our cars from my Fj Cruiser to over seven BMW’s over the years. I am sure there are good tint shops in SW Florida, but when it comes to my vehicles there is only one place. The tint that was done on my 2007 FJ Cruiser back in 2006 is STILL in perfect condition, not even a crease, discoloration, or even a scratch, and this vehicle is used extensively on the back roads of Florida. Quality and customer service is obviously their focus. Had my jeep windows tinted and I couldn’t be happier. Us jeep owners can be picky. I’d recommend these people seven days a week. Very nice guys with a cool shop, very professional and skilled at what they do. I sent them an email asking for a quote and they got right back to me with a price via email. I made an appointment and they had my five windows done in 2 hours. Very good installation, I know these guys do work for dealerships and work on some high class vehicles. My car looks great, and all tinted to state code. We had SunTek window film installed on our home and on several windows the film was peeling or de-laminating. We were given the number for Quality Custom Window Tinting to call for warranty work from the manufacturer. Could not have been easier! Linda called and set up an appointment to inspect the window film. After inspecting the film, she said it would be at least a week before she heard back from the manufacturer. 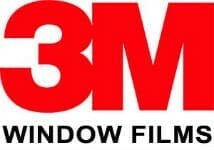 4 days later she called to say the manufacturer was going to honor the life-time warranty and scheduled the appointment to replace the film on the windows that had gone bad. Gary and his crew are the best. They have been tinting all my vehicles for years. Great price and amazing quality! I took my car here when I first bought it in 2007, and the tint STILL looks amazing! Very happy! my whole family uses them!